You’re in charge of the IT functions of a small to medium-sized business (SMB), and you’re having some problems with how you approach IT. The field is ever-changing and new threats to your business’s productivity and data security arise every day. If you’re not sure how managed IT service providers (MSPs) can help you, this story will help demonstrate that for you. Steve drove into work as most Operations Managers of small manufacturing companies: already worried about what might have happened with the network after he left the office the previous day. I wonder if the system crashed again last night? Oh gosh, is it still down? If we still have downtime, everyone will be waiting for me…I wonder if Adam’s computer will actually recognize his VPN access today? Steve gets to work early to prepare for the influx of service requests, and he already has a knock on his door. Hey, Steve. It was Jenny, the Production Manager. I hope I’m catching you at a good time. I’ve been noticing that my computer is taking forever when I input the guys’ hours. Is that something you can fix? Steve forces a smile at Jenny and says, “I can look into it.” But he knows that network slowness will take last priority in half an hour when everyone else comes into work. His phone rings. It’s Adam. His computer won’t allow him to access the VPN…again. Steve groans, knowing he’ll have to call the manufacturer. The IT guys there are almost never helpful, and they always find something else to fix, turning what Steve thinks should be a cheap fix into an expensive one. As a Operations Manager, Steve had gotten good at hiding his emotions, but when Jenny told him she had lost all the vendor files, his mouth fell open. If he had had the time to set up cloud backup, he would have been able to stop this problem easily, but he knew this would stretch his recovery skills. The service requests kept pouring in: Valerie in sales had corrupted a group of files, Mitchell the intern had been using the wrong file extension again, Matt in engineering couldn’t access certain data without crashing his computer. Steve got a call asking him to see Jeff, the company President. I wonder what this is going to be about. I hope I didn’t do anything. Thank you for meeting me so quickly,” said Jeff. “I’ve noticed that unauthorized emails have been sent from my email account. Steve deduced that Jeff’s email was hacked, and the hacker sent an email with a link to his whole contact list. If the next person opened the link, they sent the link to their whole contact list. The issue could infect their customers if it reached them and they tried to click the link. That would make for some seriously bad business. Steve could have help fixing the “bugs” in his business’s system without worrying about downtime. With an MSP, Steve could have avoided all information loss and his hacked-network nightmare. Managed IT Services employ expert professionals in the IT field who stay on top of trends and new advances to give you the best technology for your industry. MSPs address network problems 24/7 so the client can be sure that everything will be working according to plan at all times. Steve wouldn’t have to worry about network problems on his way to work. Having a contract with an MSP (instead of hiring a service each time you need a hardware or software fix) gives you predictable IT service prices. It also increases productivity by decreasing downtime and allows internal IT like Steve to be more productive. We don’t think that managed IT services should necessarily replace your IT department. More often than not, MSPs work most effectively when paired with internal IT staff. How? Take a look. Often, SMBs don’t have enough in-house IT for all of the IT support they need. MSPs supplement in-house IT by taking on the most basic functions as well as introducing new technology advances to make sure your technology is as sharp as everything else you do. 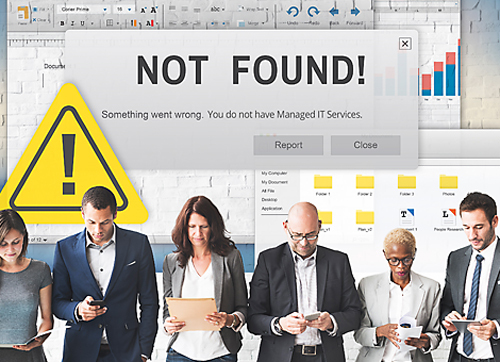 Most IT departments get bogged down fixing all the problems in their current IT system instead of coming up with new and improved IT solutions. By hiring an MSP to take care of the maintenance and security, you can free up internal IT to focus on strategic business initiatives, allowing your business to perform better in the long-run. ComTec is a team of experienced professionals who are well-prepared and equipped to provide all the managed IT services you need. We can help with everything from disaster recovery, to desktop repair, to cloud backup, to software upgrades, to Virtual Private Networks. We offer three levels of service, but we are willing to work with you to create a managed service plan that will meet all of your needs in a cost-effective way.